A single cyberattack could bring your business to a grinding halt and tarnish your reputation for years. While you will never be able to mitigate all of your risks, you can do quite a bit to protect your company’s data. These few tips and tricks will help you avoid a myriad of cybercrimes ranging from data theft to ransomware. Your employees don’t need to be IT experts, but they should understand the basics of cybersecurity. Teaching them how to create strong passwords and avoid phishing emails will drastically reduce your risk of a successful cyberattack. Whenever a new employee is hired, they should undergo some type of basic security training. That includes entry-level employees who don’t have access to sensitive data. A computer virus can quickly spread throughout your office if a single device becomes infected. Many business owners don’t realize just how important it is to limit access to company hardware. Within a few seconds, a criminal can upload a devastating virus with a USB stick or hard drive. Criminals can also wreak havoc if they ever get access to company phones, tablets, or laptops. Every device that is used for company purposes must be protected by a password at all times. You should also install tracking and remote locking software on those devices. If a laptop or smartphone is ever stolen or misplaced, you will be able to lock it down and forward its location to the authorities. Many of the top IT consulting firms offer affordable services to businesses that need improved cybersecurity. Your company might benefit from options such as security training for employees, security audits, remote monitoring, or hardware setup. 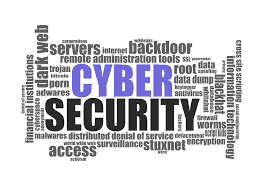 Hiring an outside company to assist you with cybersecurity might be more affordable than establishing your own IT department. As technology continues to evolve, you need to make sure that your business is keeping up with those changes. A few preventative measures will reduce your risk of a successful cyber attack that costs your company time and money.